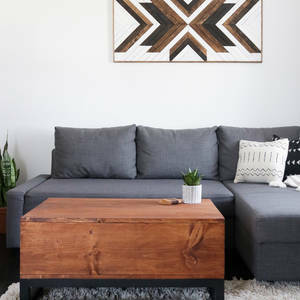 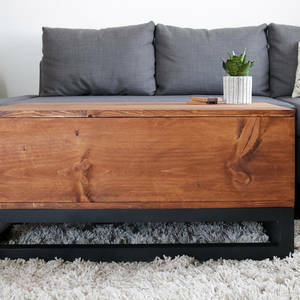 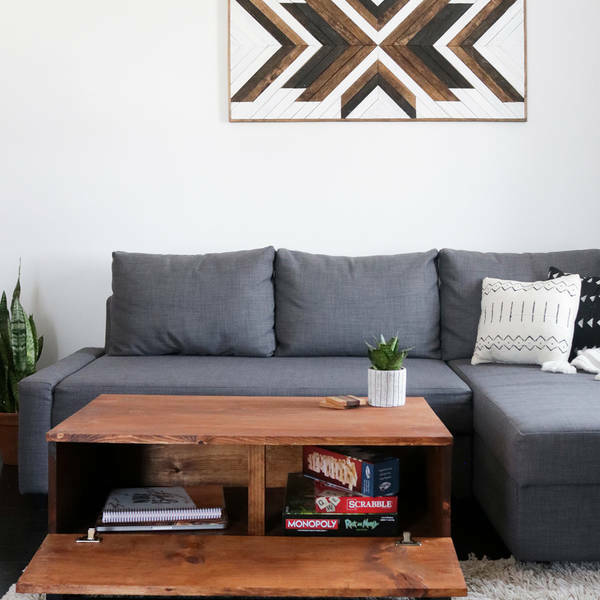 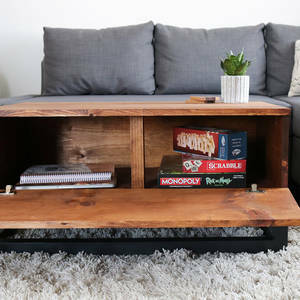 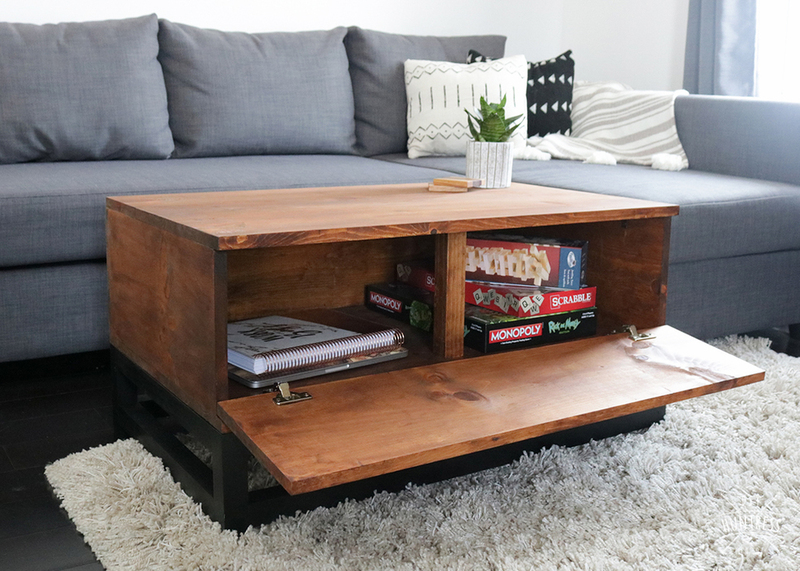 When your living room is short on space and/or storage options, this coffee table comes to the rescue! 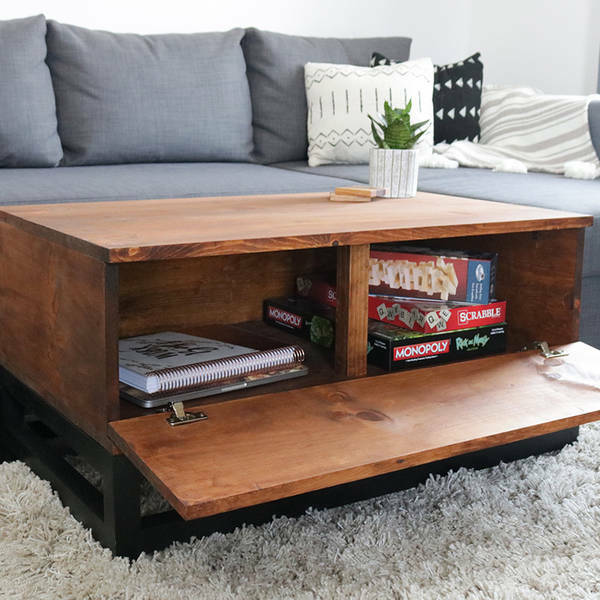 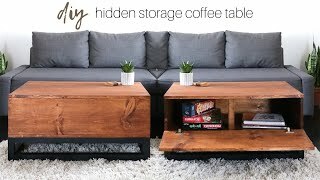 Although it looks like your typical, solid coffee table on the outside, this table holds a fun secret storage compartment on the inside! 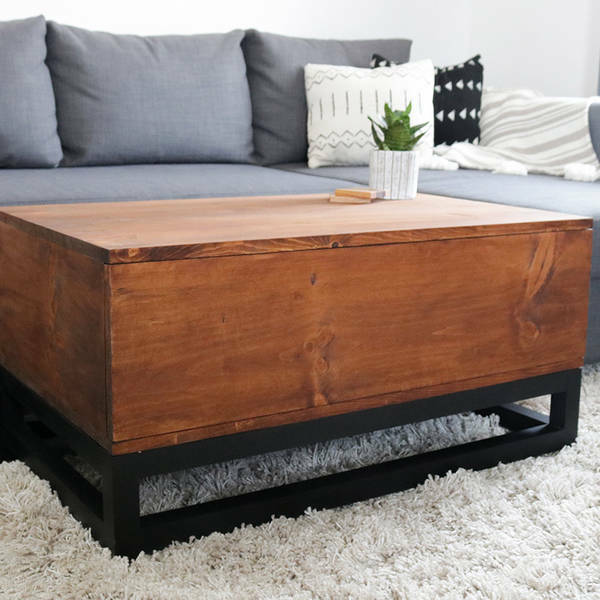 Make sure to download the free PDF plans for the full dimensions, cut list, materials list, and printable step-by-step for this project. 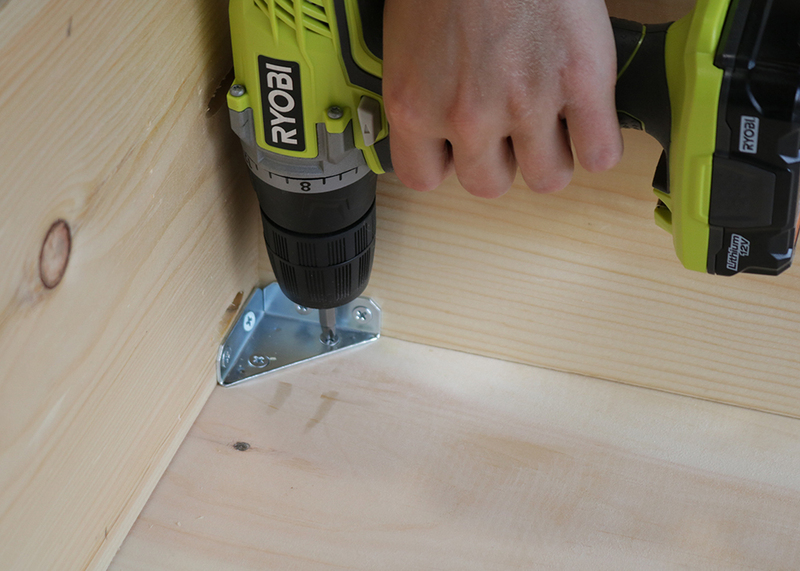 Before starting this build, make sure to download the PDF plans for the full list of products used for this build as well as all measurements. 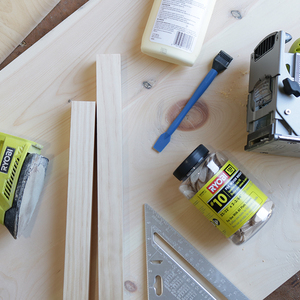 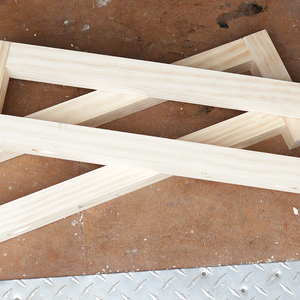 Use a biscuit joiner and #10 biscuits to add 3 panels together to form the top of your table. Repeat this step for the bottom of the table as well. 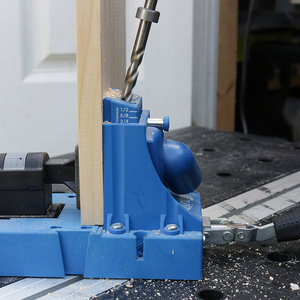 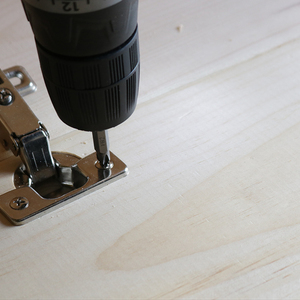 If you do not have a biscuit joiner, you can use a pocket hole jig for this step or just glue and clamp your pieces together. 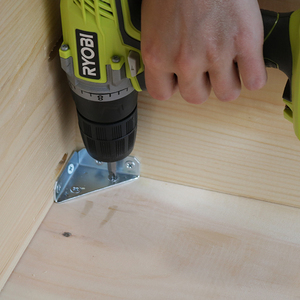 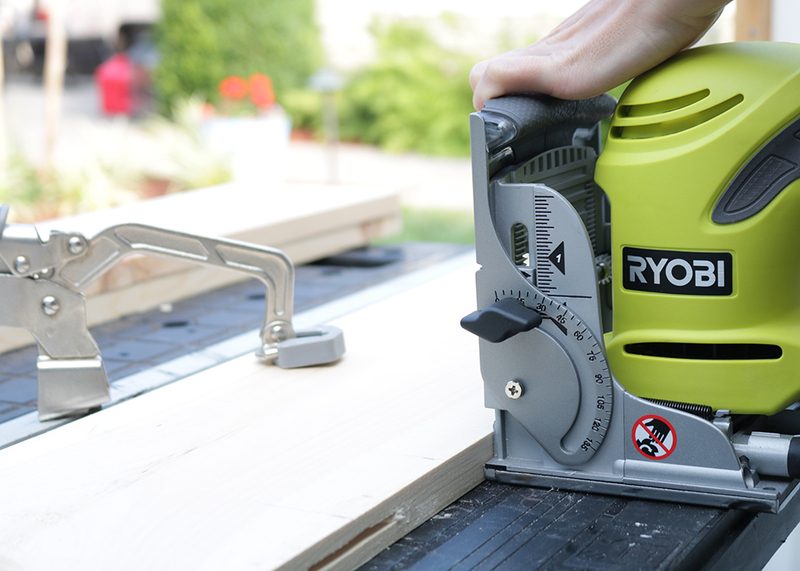 While your top and bottom panels dry, use a pocket hole jig to drill pocket holes in one end of both side panels. 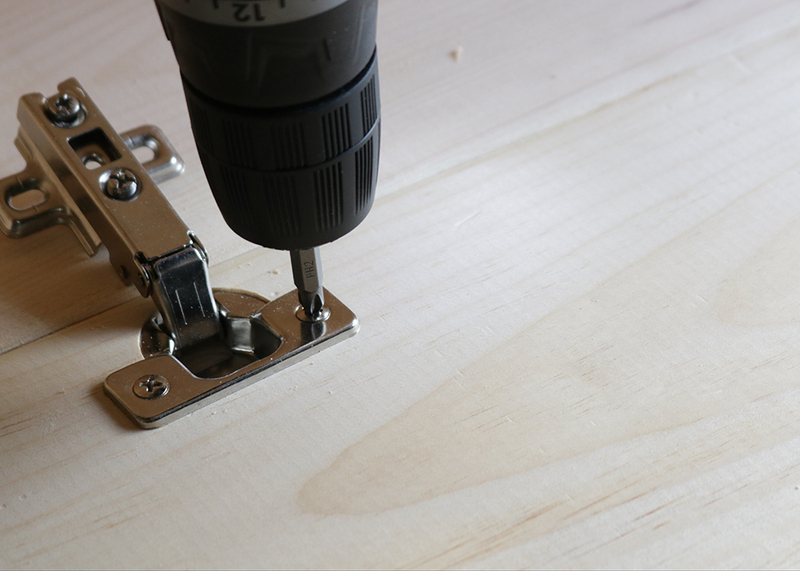 Create the carcass for your table by attaching your side panels to the back panel of the table with pocket hole screws and glue. 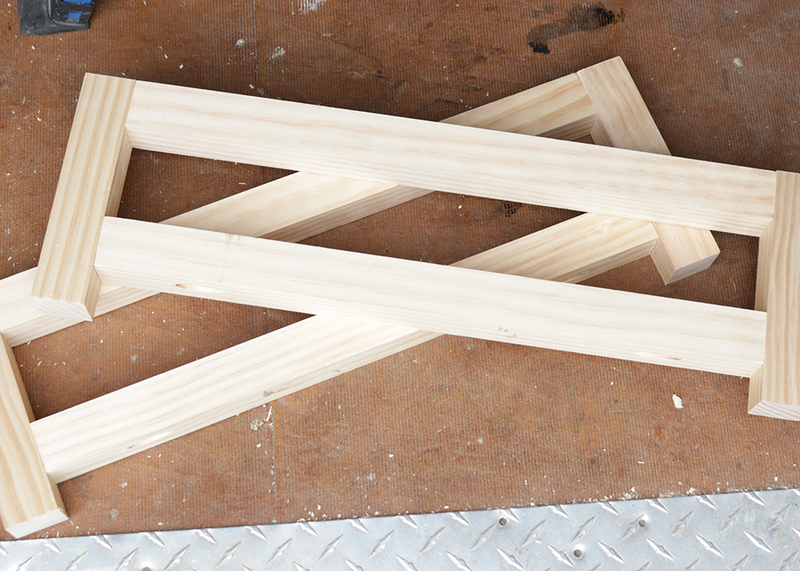 Once your top and bottom panels have dried, attach them to your table carcass with corner brackets. 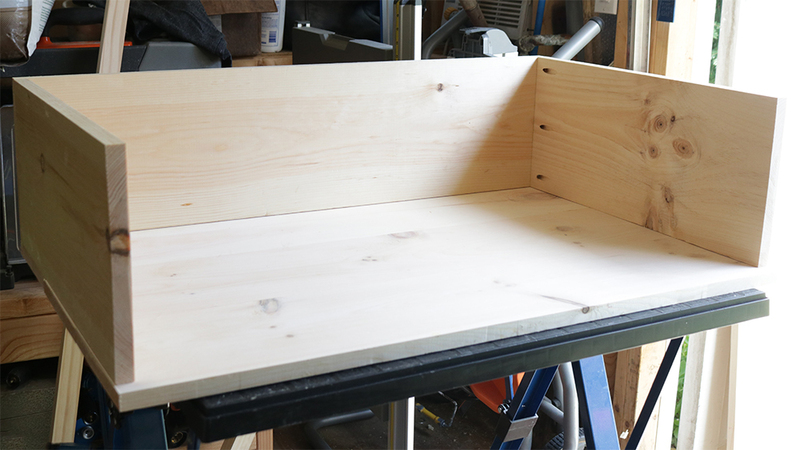 Once the top and bottom panels have been added to the carcass, add the 9 1/4" support to the inside of the table with wood glue. 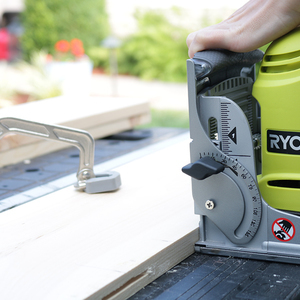 This will help prevent sagging. 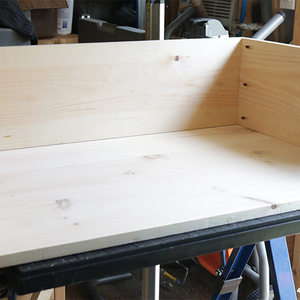 Next, attach 95 degree inset hinges to the inside of the table (on the bottom panel) and the inside of the front panel. 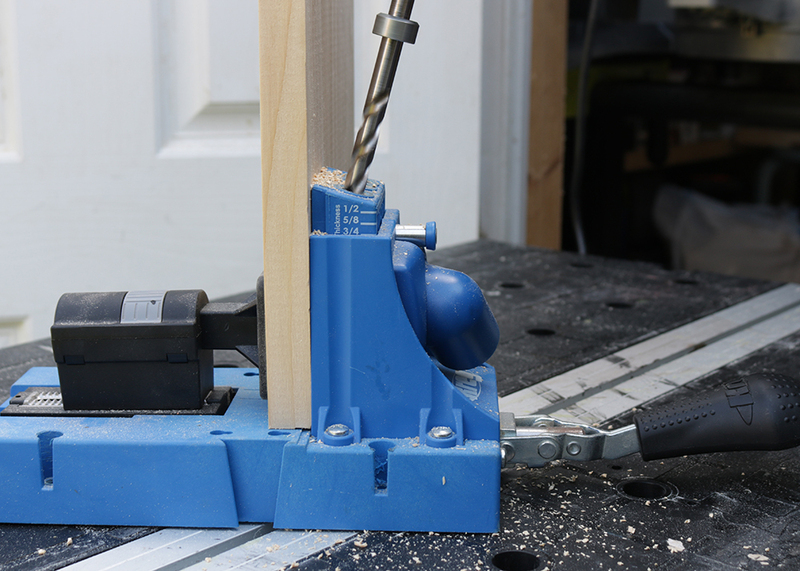 I used a concealed hinge jig to inlay one end of the hinge inside the front panel. 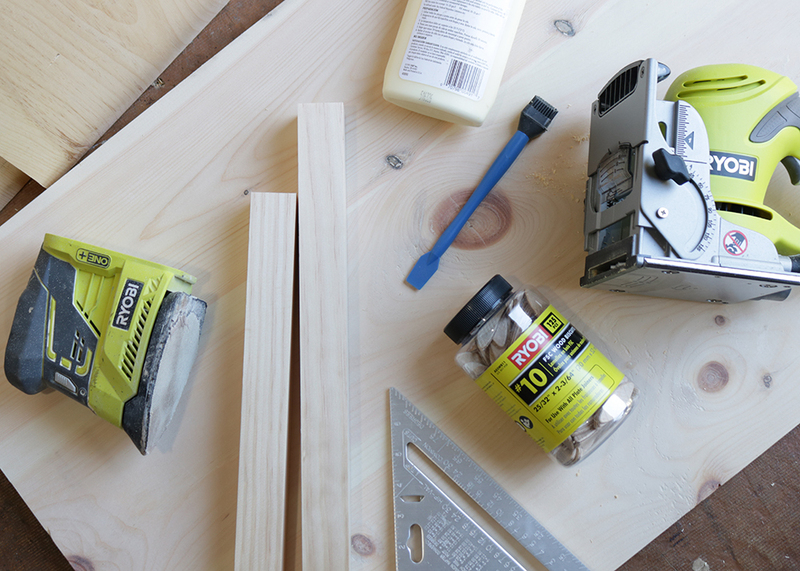 Once the table top is built, create the base by attaching the long and short leg side pieces to the legs with 2 1/2" pocket holes and wood glue. 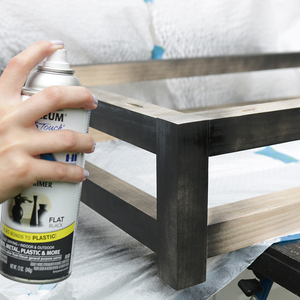 Once the base has been assembled, sand and then paint it the color of your choice. 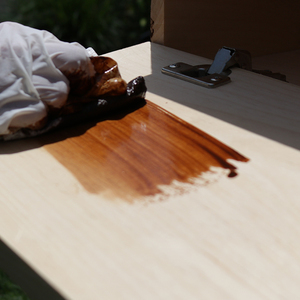 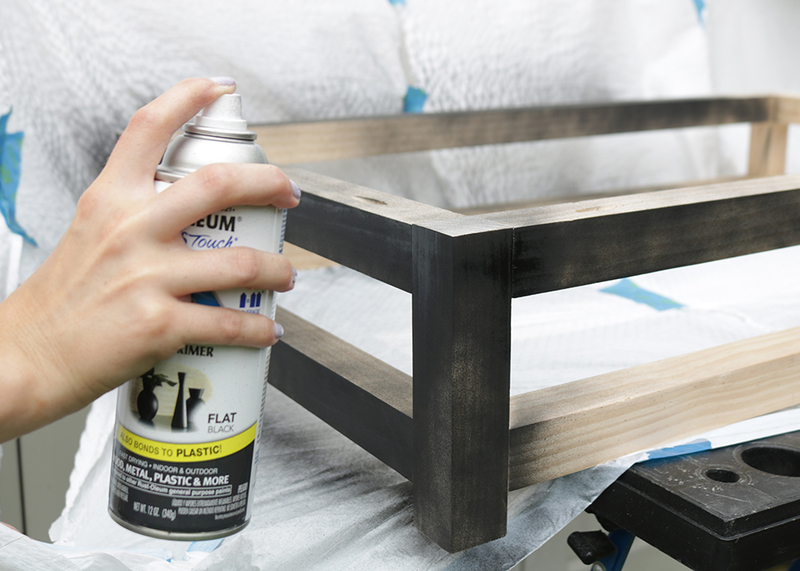 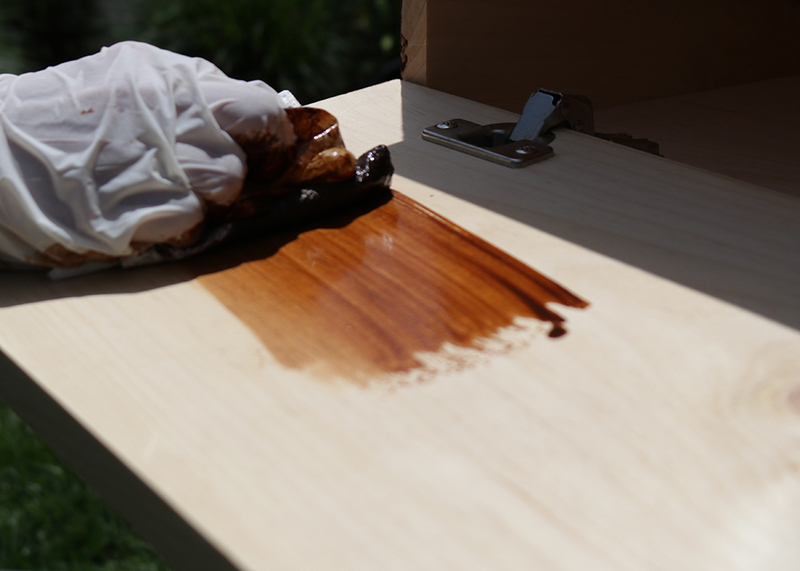 While the base dries, sand and then stain or paint your table top. 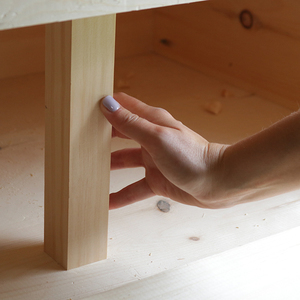 Once all of the finishing has dried, attach the top portion of the table to the base by screwing them together from the inside of the table downward into the base.